New England Peer Review administers the AICPA Peer Review Program & New England Peer Review Program for CPA firms in accordance with the AICPA Peer Review Standards. 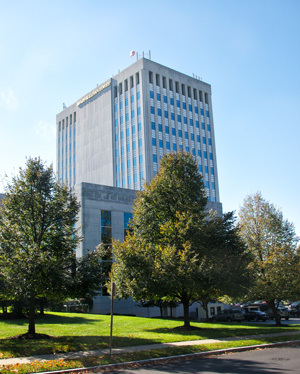 In 1989, the four state societies of Maine, New Hampshire, Rhode Island and Vermont elected to operate the AICPA Quality Review Program on a cooperative basis under the name New England Quality Review (NEQR). In July 1991, this group became a separate incorporated entity, the only one of its kind in the United States. On October 24, 1994, the AICPA council unanimously voted to combine the Quality Review Program with the Private Companies Practice Section peer review program under the new name, Peer Review Program. 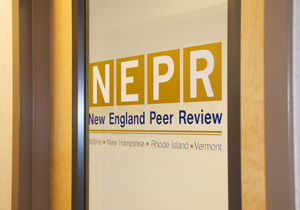 In May 1995, the New England Quality Review, Inc. became New England Peer Review, Inc.
Today, New England Peer Review is governed by an executive committee comprised of eight representatives. To administer the AICPA and New England Peer Review Programs for CPA firms in accordance with the AICPA Peer Review Standards and related guidance in a responsible, efficient and consistent manner and to effectively communicate and promulgate information relating to the programs to interested parties and involved groups.